Motivation plays a key role in the achievements of sports and bodybuilding. When you become a bigger, stronger and more experienced, you will find it increasingly difficult to continue to progress, especially without the proper mental attitude. That is why XTREME NAPALM® IGNITER SHOT series has been designed. Food supplement XTREME NAPALM® IGNITER SHOT in a liquid form is a product dedicated to those persons, who lead a an active lifestyle. Especially recommended prior to the exercise, which also requires increased motivation and concentration. Components of the product help the body during periods of increased physical and mental attitude. Increase strength, maximize the concentration and reaction speed. The powerful active ingredients were shut down in easy-to-swallow liquid form. 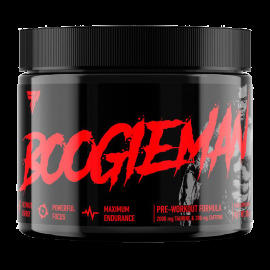 XTREME NAPALM® IGNITER SHOT is the energizing pre-workout stimulant in small handy bottles. Each serving of XTREME NAPALM® IGNITER SHOT delivers scientifically designed blend of physiologically active ingredients without addition of creatine or unnecessary carbohydrates. Four active ingredients of XTREME NAPALM® IGNITER SHOT: beta-alanine, taurine, caffeine, glucuronolactone enhance performance strongly stimulate body, for intense training workouts. In addition Xtreme Napalm® Igniter Shot is enriched in PeptoPro® ( hydrolysed casein) which delivers amino acids and quickly helps protect the muscles during exercise and reduces muscle damage. For instance, in the second hour of exercise, the body gets 5 – 15% of its energy from amino acids. Without consumption of amino acids during that time, the body will literally scavenge it from muscle tissue (catabolism). Consumption of Xtreme Napalm® Igniter Shot with PeptoPro® added results in better performance and enhanced endurance.